Normal aging is not a disease and does not always result in dementia. Therefore, when caring for older adults, healthcare workers need to be able to determine what is normal aging and what is dementia. In this course, the learner will learn about the differences between normal aging and dementia as well as the various stages of Alzheimer’s disease. 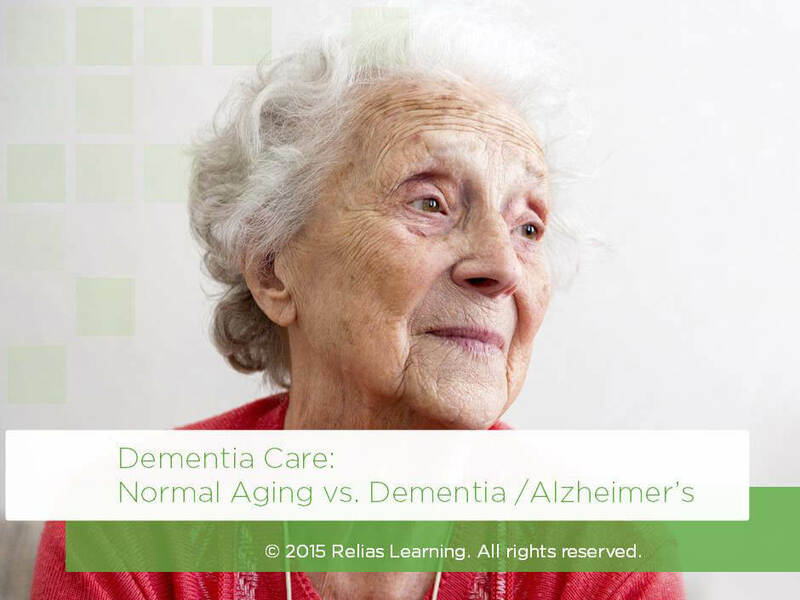 Explain the differences between normal aging and dementia. List the four lobes of the brain and identify the functions of each. Recognize the warning signs and symptoms of each stage of Alzheimer's disease. The target audience for this course is: entry level General Staff; in the following settings: Acute Care Facility, Assisted Living, Home Health, Hospice, Long-term Care, Residential Care.